Jonathan Payne is a middle-aged and rather boring bookshop owner in the small seaside town of Rigby. So what happens when the personification of Truth knocks on his door and wants a chat? A whole lot of nothing? Well yes….and no. 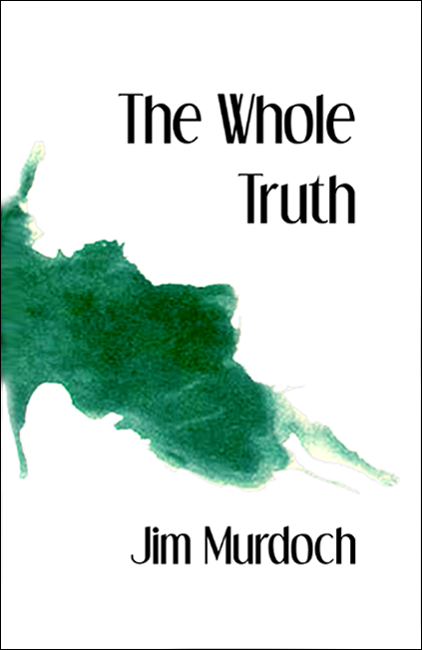 The Whole Truth is actually an omnibus edition of two individual titles: Living with the Truth and Stranger than Fiction. I chose to read the omnibus rather than Living with the Truth based on the recommendation of the author. He wrote that the two books really do work better when read together. He was absolutely right and I would definitely recommend reading both one after the other. As I mentioned in my opening, Jonathan Payne (our “hero”) was a rather boring man. He never lived life – life happened to him. He was a rudderless boat on life’s ocean. When he is visited by Truth, a rather playful and mischievous personification, nothing astonishing happens. Jonathan simply adapts to his new circumstance. Mild levels of discomfort are felt but his day pretty much continues as it had done for years. And thus ends the first book. If I had happened upon Living with the Truth independently and not told that I needed to read the second book I would have finished the book feeling mildly let down. I would have been given a peek at Payne’s uneventful and anaesthetised life and felt a little saddened. In following Truth, Payne does have an experience that almost hints at another life he could have had, one punctuated with active participation and even love, but I never got the sense that he really learned from this encounter. Unlike Dickens’ Scrooge, Payne was not changing or evolving through his experience with Truth; he was merely observing. If I had finished the story of Jonathan Payne here, I would have felt dissatisfied and unlikely to read anything further. However, with the second book my opinion changed. In Stranger than Fiction, we’re given a rather bizarre backdrop to explore the question – can we fix Jonathan Payne in the next incarnation of his life? It sounds simple, but I really don’t think the answer is simple. Additionally, the author has extended his use of Truth personified to include other Dunameon (as they are called) in our exploration of Payne and his shortcomings. We’re transported to different metaphysical realms and Payne gets to reacquaint himself with his mother and father and several instances of himself in parallel universes. We almost get a sense that he has learned some lessons about living life better, but ultimately I feel that he will not change in the next life. What is interesting in the second book though is that we get the distinct feeling that Truth and his brethren are not infallible and their failings help to put quiet and boring Jonathan Payne in a different light. Was his life actually a failure? Was his strategy of no action incorrect? By the end of the book, Payne begins to appear more certain while Destiny looked like a bookie, Reality like a broken down drug hoover and Truth, the representative of the Dunameon’s various stuff-ups. I ended up enjoying The Whole Truth. I saw it as a good book club selection where a group could discuss Payne’s worthiness as a human being while observing the author’s clear warning about relying on the ever-unreliable objective values (Dunameon) to make a decision. Along the way, the dialogue can be rather witty and the interactions not totally unlike a Ford Prefect and Arthur Dent conversation in Hitchhiker’s Guide to the Galaxy. There really isn’t any action to speak of, but there are some almost revelations that are worth encountering along the way. If you can enjoy the idea of being introduced to the puzzle of Jonathan Payne in the first book and not having him really solved in the second, then maybe give The Whole Truth a go – but don’t stop after the first book. This entry was posted in 3.5, General Fiction, Novel, Reviews and tagged Comedy, Fiction, Literary. Bookmark the permalink.